A HAPPY HOLIDAY FOR ALL from AG Gallery and all artists from ART IN BOXES 15 Exhibition! If you have not yet done for the holiday gift searching, make sure to visit AG Gallery this weekend and find the best for your holiday gifts of this year, for everyone special to you. 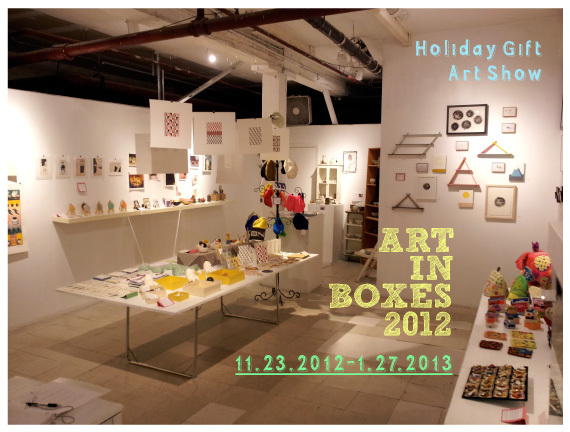 For the 2011’s holiday season, AG Gallery held “ART in BOXES” again! Thankfully, It’s a second time to hold this annual show and many talented artists are displaying amazing art works this winter again. 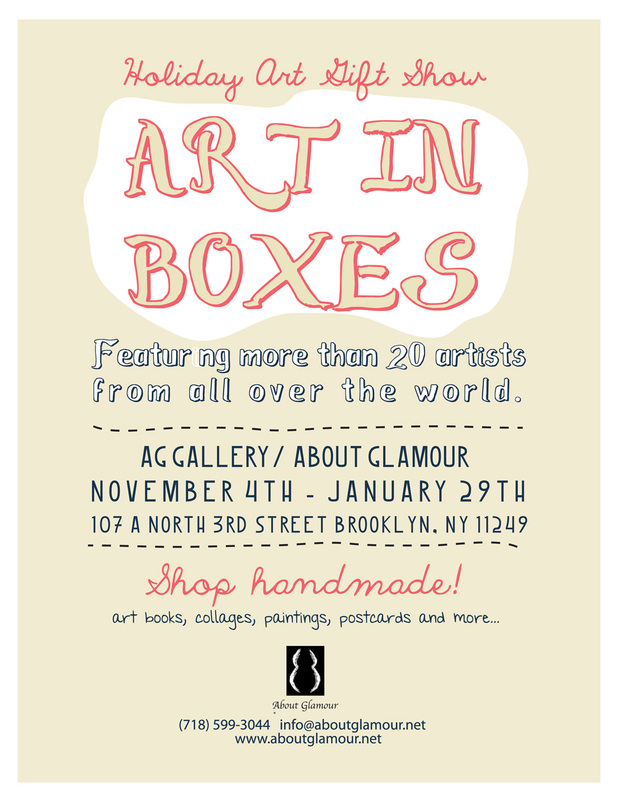 “ART in BOXES” is a large group exhibition which shows/sells perfect artworks for the holiday gifts at affordable price. AG Gallery exhibits about a hundred of art pieces by more than 20 artists from all over the world. The curator selected small to large art pieces which would be great for the holiday gifts, such as paintings, sculptures, prints, collages, artist books, postcards, and some kind of handmade artwork pieces. This is the great opportunity for that If people are looking for extraordinary holiday gifts this year or would like to give something special to someone special. As we have retail space along with the gallery, we do the gift wrapping easily and even take domestic/international shipping. Also, you could shop and carry purchased artworks with you which is impossible at regular art exhibition. We are always willing to help people who would like to find some great gift for this holiday season, and we wish happy holidays for all.